Pokemon has done some things over the year which have made fans emotional, but few compare to the events of its first film. Plenty of fans will recall how depressing the movie’s final scenes were, and it seems The Pokemon Company remembers well. After all, Pokemon is remaking its first film, and fans just got a look at its reimagining of a rather sad scene. As you can see above, the new trailer for Pokemon: Mewtwo Strikes Back Evolution hit up social media today. The trailer gave fans a good look at how its 3DCG aesthetic works with the franchise. However, its final moments include a scene featuring two Pikachu... so you can see where this is going. Th scene features two CG animated Pikachu going head to head, and fans should remember the scene from Pokemon: The First Movie. That 1999 feature saw Mewtwo clone dozens of highly trained Pokemon after the Psychic-type invited a slew of trainers to his island. Ash’s first Pokemon was one of them, and Pikachu was forced to fight his clone in a truly heartbreaking scene. Now, this clip is giving a new take on the iconic moment, and it is as sad as ever. 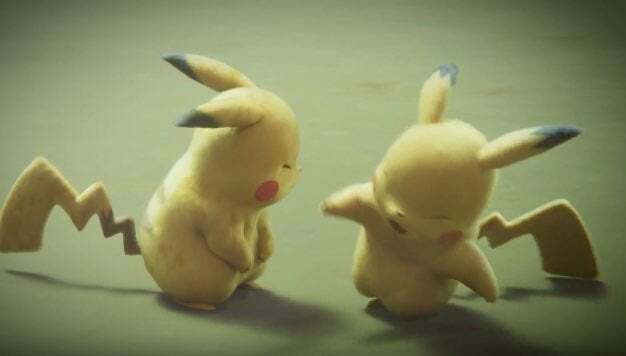 Both of the Pikachu look inconsolable as the clone throws slap after slap. In the background, fans can hear Ash crying out for all the feuding Pokemon to stop, so it would be a smart idea for fans to bring tissues when this film drops in July. Pokemon: Mewtwo Strikes Back Evolution will be directed by Kunihiko Yuyama and Motonari Sakakibara, with a screenplay written by Takeshi Shudo. It will be released on July 12 in Japan; No word has been given about a U.S. release date or theatrical run as of yet. So, are you ready to see this remake give this scene a total makeover? Let me know in the comments or hit me up on Twitter @MeganPetersCB to talk all things comics and anime!